Located on the Adriatic Coast on the heart of Europe is the Dubrovnik city. It is one of the most beautiful cities in the coastal areas of Croatia. Its tall fortified walls, strong medieval walls and towers in panorama make it the most popular city in Croatia. 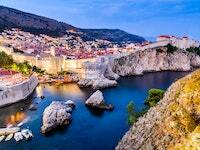 Dubrovnik is a tourism hub and its wonders attract tourists from all over the world. Being the most highly regarded part of Croatia, it makes is a perfect destination to go for vacation holidays. The most attractive part of the city is the old town. Packed with numerous museums, city walls, churches, palaces, and monasteries, there is so much to experience. Also known as The Pearl of the Adriatic, Dubrovnik is a beautiful place for vacation, touring and sightseeing. In a city basking the crystal clear sea waters and surrounded by beautiful rugged mountains, everything is stunning in Dubrovnik. At night the city becomes more spectacular. There is so much to experience here and you will never be bored in the old town. You can choose to spend the day by the sea doing fun activities like sunbathing, kayaking and snorkeling or even explore the old city which is more interesting. Dubrovnik is a rich town with unique architecture. Spend your day tracing the mighty defensive city walls, the towers, forts and beautiful churches built in Gothic and Renaissance style. Most houses have red rooftops and are constructed in the Baroque style. Pile Gate is the main entry to Dubrovnik old town. It is a traditional entrance to the town that was constructed in 1537. At the gate, you will spot a beautiful statue of Dubrovnik's patron saint Blaise. By entering the Pile gate, you will be welcomed by a beautiful stradun which consist of wonderful sculptured pavement stones running all the way to Ploce Gate the eastern gate of the old town. Another attraction is the Onofrio Fountain a great well that provided water to Dubrovnik city constructed in 1438. Sadly the earthquake that happened in 1667 destroyed the fountain and as if that was not enough, further destruction happened during the 1992 war. However, the Onofrio fountain has been restored over the years and it is a place worth visiting. On the right side is the Franciscan Monastery constructed in 1391 and it is home to the oldest pharmacy in Europe. On the extreme end near Ploce Gate is the Orlando Column which is a favorite meeting place of the locals in Dubrovnik. Next to it is Sponza palace built in 1522 which is a city archive and an exhibition center today. Neighboring it is the ST. Blaise Baroque church. Another fascinating place is Rectors Palace which is a city museum today with a valuable historical exhibition. Don't miss out the Dubrovnik cable car the best way to see the old town from above. Once you reach the top of Mt Srd, enjoy the entire view of the red-roofed city. Take pictures and wait for the beautiful sunset that turns the city in a golden glow. The best way to explore Dubrovnik old city is on foot. 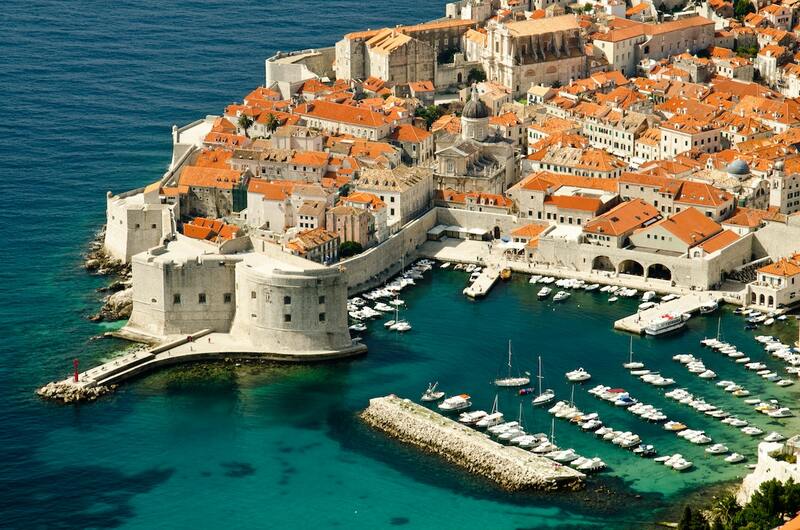 The celebrated Game of Thrones movie was shot at Dubrovnik and it will be fun exploring the scenes. The Old town walls of Dubrovnik have fortresses on its four corners with Minceta tower being one of the most beautiful towers in the world. Dubrovnik hosts the summer festivals in the month of July and August which are fun to attend. The narrow city streets have numerous restaurants to try out some local cuisines.